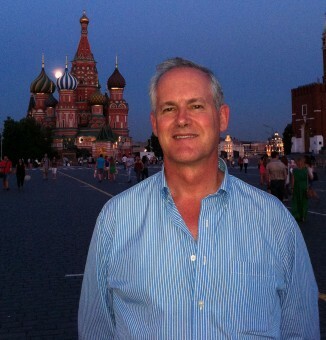 Americans living in Moscow are suffering from mental whiplash. During Russia’s recent presidential election, we enjoyed the moral high ground. Our politicians, we thought smugly, would never stoop to reviving the Cold War to wake up their conservative bases. But, in a city where snow fell on April Fool’s Day, it’s dangerous to walk with your nose in the air. Ice still covers many sidewalks here. Yes, Mitt Romney pulled a Putin. “Russia is, without question, our number one geopolitical foe,” the leading Republican Party presidential candidate warned CNN TV anchor Wolf Blitzer. Similar to Vladimir Putin alleging Washington was behind last winter’s democracy protests, Romney was targeting his party’s elderly base. The U.S. is scary, Russian Prime Minister Putin warned the faithful at a Moscow rally in February when he was running for President. AP Photo. Separately, in a U.S. News/Chicago Tribune poll conducted in the United States last week, 78 percent responded negatively to Romney’s “number one geopolitical foe” remark. Putin and Romney may have been separated by birth and class – one in working class Leningrad and the other in upper class Detroit. But they cling to comfortable Cold War worldviews, at least in public. Meanwhile, in Moscow, some Americans thought that Russian real politik would soon reassert itself. The positive thinking was that last winter’s anti-Americanism was an electoral gimmick designed to animate lethargic voters. Immediately after Putin won the March 4 Presidential election, a high Foreign Ministry official chirped that Moscow assumed the three-year-old reset policy with Washington was on track. On Afghanistan, Moscow tentatively agreed to allow NATO cargo jets to refuel at Ulyanovsk, an air transit hub on the Volga. Then in Seoul, outgoing President Dmitry Medvedev declared that, on his watch, U.S.-Russian relations have been the best in a decade. In Moscow, some Americans assumed that, with the elections over, the Kremlin’s party line had changed. Russia is hemorrhaging $10 billion a month. The government relies heavily on high oil prices to pay its bills. To diversify the economy, the Kremlin courts foreign investors. Then, U.S. 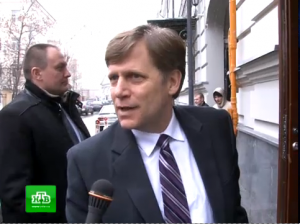 Ambassador Michael McFaul stepped out of his car — and into a strange piece of political theater. Two steps from entering a building that houses a Russian human rights group, he was accosted by a camera crew from NTV, a channel that is notorious for hit jobs on Russia’s opposition. On one level, it was simply an ambush interview – the kind perfected years ago by American TV crews. NTV responded that they knew about the meeting due their network of informants. A more realistic analysis is that the FSB, the successor agency to the KGB, is still wiretapping Russian human rights groups. The Kremlin has worked long and hard to tap into communications from the embassy. 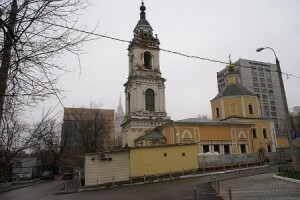 In the mid-1970s, American embassy officials did not believe that interest in historic preservation prompted Soviet authorities to renovate an early 18th century church with a bell tower that rose above the walls of the U.S. Embassy compound. At that time, in 1975, Putin joined the KGB in Leningrad. His first job was to monitor foreigners and consular officials. That Russia’s intelligence services still try to monitor telephone and email traffic by American diplomats is no surprise. That this information may be used for staging and filming political “provokatsii” evokes Leningrad of 35 years ago. Last week, Konstantin von Eggert popped any illusions Americans might have about Putin 3.0 – his third term which starts May 7. So, one year from now, journalists may be reporting, from a frozen lake in rural Michigan, that President Romney and President Putin are grimly trying to bond — over ice fishing. Meanwhile, in Moscow this year, a new spring season for Russian-American relations may have come and gone – before the first yellow daffodils had a chance to arrive. It reminds me of the yellow tulips I gave a Russian friend over the weekend. She kept hopefully dipping her nose to the bouquet of scentless flowers. 1. 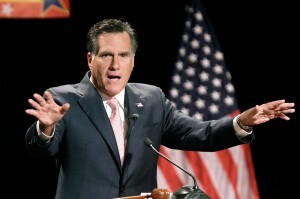 I wouldn’t view Mitt Romney’s point as a ridiculous one. when police and courts of law became threats, people are gagged & harassed for their basic human rights, constitutional norms abused. Nobody can foresee what future whims of the ruler for life with 3000 nuclear warheads at his fingertip will be & how dreadfully he’ll act in the case of his personal insecurity. 2. But certainly Mitt Romney is exaggerating. In all European countries Presidents charged with plagiarism have resigned (Hungary is the latest example). But not in Russia. 3. Nobody in the West should be scared of a country with unacceptably low state of scientific research, public education and health care. How can anybody take seriously a President of a dying-out country preferring to appear in front of paid-for audience in tramp clothes, pulling his thin lips and hating face (as in the photo above)? It’s a part of his unscrupulous pseudo-patriotic routine, one man show. How can people be scared of a man who prioritizes tapping of phones & emails, spying on personal life over his duty to restore law & order, to stop demographic catastrophe unfolding? Gennady, you are right 100% as usual. Putin is no more dangerous to America as a rat to a dog while the rat is free to move, steal and make mess everywhere it wants. But the same rat cornered might be very aggressive and even lethal. Be afraid of a cornered rat, better catch it with trap! Alright, let’s talk for a moment like adults: It does not matter who runs Russia and what system Russia has – A.) the U.S. has a permanent interest in “reducing” any nation that cannot be “managed” as “security partner”, B.) Russia is “too big” and is has been and it always will be a permanent strategy of the “Anglos” (USA&Britain ) to “reduce” Russia. C. )Sara Palin can “see” Siberia from Alaska/USA, — thus remember “Manifest Destiny”! No, Valeria Damiroxa, I think you are wrong. It really does matter “who runs Russia”. If president of USA is a friend of the dictator and the thief, then a rhetorical question arises – who is he, and who are the people who’ve elected him? As for “reduction” of Russia by “Anglos” – this is a law of nature imho. There is no development without a need and a competition. There is nothing bad in that if it doesn’t mean war. Truth to say I am afraid if Russia continues the way it goes under Putin’s rule, it eventually will disintegrate by itself without any efforts of “Anglos”. Perhaps even that would be better for the peoples of Russia than this continuing degradation of the last empire on the globe. Russia is just the most important immediate “project” for the “Anglos”. There are also other nations that are on the list or where the “project” is slowly pursued until activated at a propitious juncture. Look how the U.S. and Britain with the Netherlands and Germany and the Scandinavians (plus the Vatican) collaborate to “control” the political developments in Latin America! Russia is a priority project of the “Anglos” – but the roll-back of the “uppity” independent governments in Latin America (Brazil, Argentina, Venezuela, Ecuador, Bolivia) is on the future horizon – after the “final victory” in the Near East and Middle East/Central Asia. And even after this list is “finished” – new “projects” would be developed – such as curbing the newly assumed role of Germany as primary core of the continental Europe and its competition with the expected revived industrial exports of the U.S. There are always new projects for “Manifest Destiny” of the “Anglos”! solid education credentials, public service background and govenor of Massachusetts and a long term role as a businessman and successful corporate manager. He’s a leader and a very fair minded businessman….The people of the USA do not consider Russia as an enemy, competitor, yes…..but not an enemy. 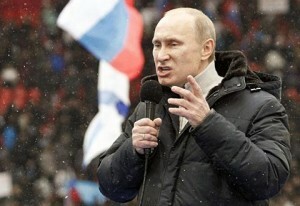 On the other hand, Mr. Putin may very well consider the US as his enemy……it helps sell his message. Therein is the key point, Mr. Putin needs to create an enemy to help him reach his goals…..Mr. Romney needs a friend to help him reach his goals. Therein lies the difference between the two men. Romney’s election as U.S. President would be a wonderful “cure” for the global community from the remaining naive image many retain about the U.S. and U.S. Americans. The author M. Berman analysed it correctly: “Michael Moore and Noam Chomsky believe that if you explain things to the U.S. Americans – they will change from how they act and behave – but both Michael Moore and Noam Chomsky are wrong: AMERICANS ARE THIS WAY!” . And part of the reasons are explained by Colin Woodard in “American Nations” which reveals what makes Americans stick to certain political and social attidutes, based to some extend on the historic expansion of certain immigration waves and their philosophies. Finally! If you accept that Obama will also guarantee $4 billion retooling tax credits and loan guarantees for domestic automobile factories and parts manufacturers, so that the new fuel efficientcars can be built in the U.S. by domestic workers rather than overseas.